Instead, our city has licensed an American for-profit monopoly. Photo by Steven de Sousa from the Torontoist Flickr Pool. After months of unprecedented lobbying by U.S. corporate giant Uber, the City of Toronto is implementing a new set of rules that legalizes the hitherto illegal 12,000 cars whose owners work for Uber. It may look like a victory for ride sharing in the city—but that’s a myth. According to the new regulations, drivers will be dishing out of their own pockets to drive for Uber. The company will pay a collective commercial insurance for drivers (though there’s no information on whether drivers and/or customers will actually pay for it), and it will take out a collective licence, which may be as low as $20,000. Uber drivers will not have to get either taxi-driver training or an individual commercial driver’s licence—but they will have to get, and pay for, a criminal record check, and they will not be able to use cars that are more than seven years old. Individual drivers will now have to give the City 30 cents out of each fare collected. In addition, no constraints are applied to Uber’s practice of siphoning off 20 per cent of each Uber fare, a ridiculous profit margin given that all that drivers get is an app. Uber has an online course for drivers that lasts all of 16 minutes and basically says, “The customer is always right.” Taxi drivers, by contrast, get education on human rights and how to serve passengers with disabilities. A key point not made in most of the reports is that not only is Uber surge-pricing legalized, but it is also protected from undercutting by regular taxi drivers; they too can now charge whatever they want if they’re booked ahead rather than hailed on the street. The Edmonton man who was charged, without advance notice, more than $1,000 for an Uber ride across town last New Year’s Eve may soon be getting many sympathetic Facebook messages from hapless car-free Torontonians. The problem? Uber drivers have no collective voice. This may be why Torontonians do not realize that to use terms such as “the sharing economy” to refer to Uber is like calling Donald Trump a working-class hero. Carpooling and car sharing are in the sharing economy and so are the local websites that facilitate the buying and selling of second-hand goods. But Uber is not an arrangement among citizens, and it is not a company that facilitates such arrangements. Uber is an extremely profitable and aggressive American company with global reach that deliberately opens illegal operations—taking advantage of commuter frustration on the customer side and of the precarious economic situation of many groups of male workers on the driver side—and then hires swarms of professional lobbyists to persuade or pressure local politicians to legalize it after the fact on favourable terms. The legalization of a for-profit mega corporation could, in theory, improve conditions for drivers. But Uber takes zero responsibility for drivers’ working hours, health, safety, illness, and old age (as is the case, it should be said, with taxi plate owners, who do not consider their drivers employees). Uber sets the fares, siphons huge profits, and subjects drivers to a system of consumer surveillance whereby a driver can be fired—an interesting concept, since they’re not actually hired—for getting ratings of four stars or less. As a university professor, I know many 20-somethings who could use part-time, flexible-hours jobs, so I tried to investigate Uber driver income and working conditions. However, reliable information is hard to find. Uber has flooded the internet with good news and personal stories that appear to be spontaneous but all seem authored by young white men driving cars that they are not paying for in wealthy cities. But in the truly independent accounts that do exist, one discovers that, once established, Uber may then cut fares by as much as 40 per cent to maintain market share: drivers’ incomes be damned. One also discovers that in order to make the $20 or so an hour Uber promises, one would have to work about 60 hours per week and in “good markets” (not Detroit, where Uber imposes a starvation rate of 30 cents per mile). But if drivers, rather than the company, bear the burden of the new rules, customers don’t win. A key fact is that in Toronto (as in other Canadian cities) Uber has an effective monopoly. There is no made-in-Ontario or even in-Canada competitor. So, while Toronto customers have been happy until now (since, like bootleggers, Uber can operate cheaper and respond to demand quicker than the legal, regulated industry), Torontonians will soon realize that being in the grip of a foreign monopoly is far from the cool and fun space promised by the “sharing economy” myth. The City’s new rules theoretically allow other services to operate; but it would be extremely difficult, if not impossible now, for a competitor to make it. And in other cities, Uber has been known to lower its prices long enough to drive less deep-pocketed competitors into the ground. Once it has a monopoly, prices go up and up. So what Toronto has just legalized is not a sharing operation but a for-profit U.S. monopoly that has insinuated itself among councillors in a way that strikes me as requiring investigation from the ethics commissioner. At one point last year there were media reports of 100 lobbyists prowling City Hall. Did they earn their pay? How? I have studied municipal regulation in Toronto for years, and I cannot think of any other situation where a large U.S. firm has been given such a sweet deal. (Local companies sometimes get exclusive deals that could be questioned, but nothing that compares to Uber’s rosy financial future). A few die-hards on Toronto City Council have continued to complain. 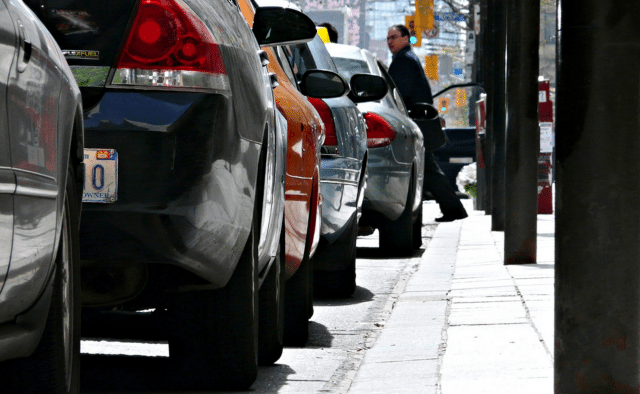 When the new rules came into effect this past week, Councillor Gord Perks (Ward 14, Parkdale–High Park) noted, “There’s a more level field between the millionaires and the billionaires”—or, between owners of multiple taxi plates and Uber. Perks also pointed out that drivers as well as passengers lose out in the new regulations. But overall, Uber did get the lobbying and PR that the company paid for. When Uber “surge-pricing” fares skyrocket the next time the subway breaks down, Torontonians will get buyer’s remorse and belatedly wonder if those angry taxi drivers maybe had a point. But by then it will be too late. Let’s hope that in other areas of municipal regulation—Airbnb especially—public officials start to operate with independent expert advice instead of bending to PR and lobby pressures from greedy corporations. Mariana Valverde is a Professor of Criminology at the University of Toronto. She specializes in urban law and governance and wrote the 2012 book Everyday Law on the Street, which examines Toronto’s bylaws.